Cheating not for money only, but also for great fun! FreeSlots4U shows where you can leverage your initial deposit at online casinos. Visit this site and know more. A book written by an expert player in slots and one-armed bandits. The style of the book is funny and informative, a story of 20 years of playing and betting. Find out how slots work, which ones are most profitable, facts and myths. Avoiding phony machines, expert strategies for winning more, maximizing returns, and that`s not all. The book is an interactive ride through the beginning of slots up to 1994, advices about stretching the house edge, detecting "loose" machines, tournaments, games scams and avoiding mail order. 77 lessons about how to win, by 7 experts, in PDF format. Chapters like Blackjack, Craps, Poker-7 games, Slots, Ningo & Keno, Roullete, Bacarat& European Games, Sports betting, gambling Strategies- tips , Online gambling and a blog. The best method to become a professional gambler is to practice much! OnlineCasinosDoc Australia site gives you such an opportunity: do not miss a chance to try different free slot machine games and become a real guru of slots. Moreover, here you can find a lot of useful information about slots history, rules, secrets... Interesting articles on thetopic given are also for you there! 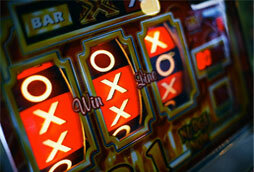 Many of the great instant casino games provided for all players to try their skills as well. Great resources for beginners and advanced gamblers. Direct advice about how to make money from some slot machines. Mostly looking for the right machine (there are 49) , less playing. 15 more machines in the 1999 supplement. If you already know the strategies make change by learning to play the exciting video slots. Royer shares fantastic advices on how to play and win at common video slot games like Jeopardy. Advices about what to buy and how to avoid mistakes and gain confidence. Includes the Collector`s Comparison an index of 950 machines; tells also about different types of slots, skill stops slots for example. A source of inspiration and a must for collectors and beginners, written by the son of Dan Mead the book (connected to Loose Change Blue Book) is a complete index of slots manufactured before 1980 with full details. Only fully electronic machines are ruled out. A dramatic history of slot machines from 1980`until the present, with details of inventors, producers, operators in the industry. That has been a source for media for decades. A guide to slots operation and management (policies, staffing, procedures). A great resource for casino managers. Revised in 2005 it is basically a history of slot machines and how to use them in a quiz form. © 2001-2014 Slot Machines Fun. For personal use only. All rights reserved.